Granite State College is also featured in our ranking Top 25 Online Master’s in Project Management Degree Programs. Professionals working in project management are responsible for each step in the process of completing a project. They must know how to motivate workers and make them do their best to ensure that they reach the end of the project. Granite State College offers one of the only Master of Science in Project Management online programs in the nation. Designed for graduate students who already have a bachelor’s degree and some business and management experience, this program features both seminars and traditional classes. Though students can select one elective, they must take seven required classes. Leading Teams is a class that focuses on the best ways to lead teams and small groups, while Cost and Budget Management is a course that teaches students how to create and follow a budget when working on a project. Students will also take Managing Project Portfolios, which shows them how to manage and work on multiple projects at the same time. The program also features classes on Project Planning and Scheduling and Negotiation, Contracting and Procurement. The college requires that students take a Project Management Seminar online and do a paper based on the topics and information presented in that class. They will also complete a Project Management Integrative Capstone that allows them to put the skills they developed into practice. Students typically take this class during the last semester. All students entering this program receive a graduate planning system, which is a document that lists all requirements of the program. Students can check off each one as they complete it. Students must take at least 30 credits of classes, but the college will accept credits earned from another university or college. Both online and traditional students can meet with a career counselor too. Granite State College offers career counseling to help students learn what they can do with their degrees and how they can search for jobs. Granite State College is one of several campuses that make up the University System of New Hampshire. As a public college, it offers affordable tuition rates and keeps its class sizes low. This allows students to have their opinions heard and to make connections with both their peers and their professors. Established in 1972, the college uses the names GSC and Granite State. This is the main campus in the state responsible for educating professional students and working adults. Students can take classes on a GSC campus or online. GSC has its headquarters and main campus in Concord, but it also operates campuses in seven other New Hampshire cities. The college established a pathways program for students who aren’t ready to attend a full college too. This program allows them to take classes from one of several community colleges and transfer those credits to a full bachelor’s degree program later. GSC has partnerships with several smaller colleges that give students enrolled in those schools access to its resources. U.S. News and World Report ranks the college as the 71st best online school for undergrads and the 89th best online school for graduate students. Washington Monthly ranked the college as the best school in New Hampshire for adult students and as the 13th best college in the nation for adult learners. It also ranks as the state’s most affordable college or university. 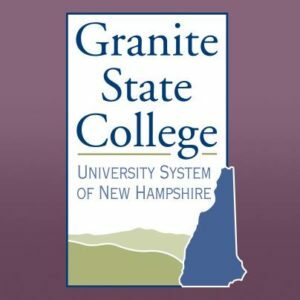 Granite State College now offers a number of classes and degree programs online for adult learners and other nontraditional students. Graduate students can only get federal financial aid such as unsubsidized loans if they attend a college or university with regional accreditation. 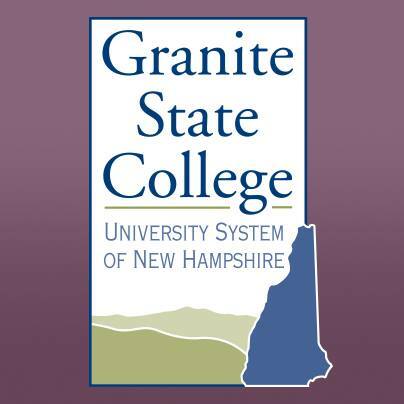 Granite State College has regional accreditation from the New England Association of Schools and Colleges (NEASC), which also gives grad students the chance to bring credits and transfer those credits into a new degree program. The college also has accreditation for both its nursing programs and its teaching and education programs. The project management online program that GSC offers does not have an application deadline. Its rolling admissions policy allows students to submit their applications and start the program at the beginning of any upcoming term. The application, which students will fill out and submit online, is just one step in this process though. This application has an essay section that asks students to write an essay of at least 500 words but no more than 1,000 words. They will use this section to write about their career goals and to tell the college more about the experiences they had in the management field. Students applying to the college must submit official transcripts from any of the colleges they attended. Their transcripts must show that they maintained a 3.0-GPA in the last 60 units of classes taken. Those who finished a graduate program or attended a graduate school will submit a transcript that shows a 3.0-GPA or higher in all classes taken. They will also submit their resumes and two letters of recommendation. GSC gives students two options to complete this requirement. They can either present two letters signed and dated by their references or submit two recommendation forms that they downloaded and had their references complete. Granite State charges both a resident and a nonresident tuition rate. The resident rate is only available to students who are full-time residents of New Hampshire and can prove that they established residency in the state prior to beginning a program. Those students pay $525 per credit hour. Nonresidents pay a slightly higher rate of $560 per credit hour. Even students who take classes online will pay a rate based on where they live. The most common type of financial aid used by graduate students today is a loan. GSC accepts three different types of loans that include the subsidized and unsubsidized student loans that come from the federal government. When graduate students take out loans, they’ll go through counseling before leaving school, which ensures that they understand how the loans work and how they will make their payments. They also have the chance to make payments before they finish their studies. Students can also use private loans and look at some of the grants and special programs for grad students. Granite State College recommends that students submit the FAFSA if they need any financial aid.